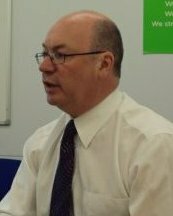 (CNS): Although Alistair Burt MP has been appointed as the Parliamentary Under Secretary of State at the UK Foreign& Commonwealth Office, which would normally hold the portfolio for the territories, it is still not certain if the veteran Conservative MP will be the new Overseas Territories Minister. So far David Lidington, also a Conservative, and Jeremy Browne MP, a Liberal Democrat, have been appointed as Ministers of State. According to the FCO, a fourth appointment to the FCO under the new Foreign Secretary, William Hague, was expected Friday. The new prime minster, David Cameron, had said the new government appointments would be made on Thursday. However, on Saturday there were still no details on the fourth minster for the FCO or the details of the portfolios that each would be managing. Burt, who is currently in the equivalent post as that held by Chris Bryant, is looking the most likely to become the OT minster but the new coalition government could decide to reshuffle responsibilities and hand the dependent territories to one of the other three minster that will be serving in the FCO. Alistair Burt, who is also a solicitor, had a minor role in the recent MP’s expenses scandal as a result of over claiming rent on his second home in London as well as charging expensive hotel bills to the public purse, including drinks and snacks from the mini bar and pay per view movies. He entered Parliament for the first time in 1983 and is now the Member of Parliament for North East Bedfordshire. He started his political career as Parliamentary Private Secretary to the Secretary of State for the Environment, for Education and Science and Chancellor of the Duchy of Lancaster, 1985 -1990, he was Parliamentary Under-Secretary of State then Minister of State, Department of Social Security, 1992 – 1997 and Parliamentary Private Secretary to the Leader of the Opposition, 2002 – 2005. He was Shadow Minister for Communities and Local Government 2005 – 2008 and then finally Opposition Assistant Chief Whip, 2008 – 2010. Burt is also Deputy Chair of the Conservative party. David Lidington was elected to Parliament in 1992 and worked for BP and RTZ before spending three years as Special Advisor to Douglas Hurd in the Home Office and Foreign Office. During the UK Mps expenses scandal Lidington was named ‘Mr Clean’ literally after charging the taxpayer nearly £1,300 for his dry cleaning and personal toiletries. His first political appointment was as Parliamentary Private Secretary to the then Home Secretary, Michael Howard, 1994 to 1997 followed by Parliamentary Private Secretary to the Leader of the Opposition, William Hague June 1997. Since then he has been Shadow Opposition Spokesman at the Home Office, Shadow Financial Secretary to the Treasury Shadow Minister for Agriculture, Shadow Secretary of State for Northern Ireland and Shadow Minister for Foreign Affairs. Jeremy Browne was elected as the MP for Taunton Deane in 2005 for the Liberal Democrats for which he was the national press and broadcasting director during his first term in parliament he has been a shadow Liberal Democrat spokesman on foreign affairs and home affairs, and a member of the cross-party home affairs select committee, shadow chief secretary to the Treasury working with Vince Cable and he is on the advisory board of independent think-tank Reform. During the expenses scandal Browne was the first MP to challenge the demand for him to pay back money regarding the mortgage on his second home and was successful. (CNS): The Cayman Islands has now signed its 17th Tax Information Exchange Agreement (TIEA) this time on home turf. The agreement with Portugal was signed by Professor Sérgio Vasques, Secretary of State for Tax Affairs and Premier McKeeva Bush who thanked the Portuguese delegation for coming to Cayman to sign the TIEA on Cayman soil. He acknowledged the southern European country’s presence in Cayman’s financial industry and the common ground of a maritime history he said that Cayman and Portugal shared at a special reception for both the visiting delegation and Portuguese members of the financial community. The premier noted that Cayman’s maritime history was not only a source of pride but had fostered resilience and tenacity in the people. Bush said Cayman valued the commercial relationship and the trust that many Portuguese organisations have placed in the Cayman Islands as a jurisdiction. “The Government also values the hard work and meaningful discussions between our two excellent negotiating teams which culminated in this agreement. We want to congratulate and recognise the individuals involved,” he told the guests. The Cayman Islands is on the Organisation for Economic Cooperation and Development (OECD) ‘white list’ of jurisdictions that substantially implement international tax standards and has 17 bilateral arrangements with the following countries for the provision of tax information: Aruba, Australia, Denmark, Faroe Islands, Finland, France, Greenland, Iceland, Ireland, the Netherlands, Netherlands Antilles, New Zealand, Norway, Portugal, Sweden, the United States and the United Kingdom. Copies of the agreements can be found via the following link: www.tia.gov.ky/html/arrangements.htm. (WSJ): House leaders are revamping the rules for lawmakers and aides who travel overseas on official government business, forbidding them to fly in business class on shorter trips, use taxpayer funds to buy gifts or pocket unspent cash, among other changes. The new travel rules, also strengthen accountability and oversight for taxpayer-funded trips. The changes come after a serious of articles uncovering abuses by lawmakers of both parties, including the use of taxpayer money for alcohol, sight-seeing and other personal expenses on official overseas trips. On the heels of World Press Freedom Day (May 3) comes one of the most vehement and shocking attacks by the Premier of the Cayman Islands on that very fundamental pillar of a true democracy: freedom of the press. Showing what can only be described as tremendous distaste for the Freedom of Information Act and the anonymity which it affords private citizens who choose not to be identified by allowing them to use a pseudonym to place FOI requests ("Mickey Mouse" incurred the brunt of said wrath though one cannot imagine what poor Mickey has ever done to the Premier), the leader of our small nation then set his sites on "blogs" and internet news providers, such as CNS, reminding them that the press is anything but free and that the hefty price tag will soon be quantified in bank notes. “I’m not talking about a $5,000 fee,” the Premier is quoted as saying. “I’m talking over $100,000”. Throughout the press conference the Premier made continuous reference to blog postings, how those who would post such things "do not love" our nation, and how much damage these posts were doing for our image abroad. At one point he claimed he had to vouch for the Island’s safety to persons “in Kansas City, Connecticut and New York” who were concerned over reports that MLAs were attacking tourists and reassure them that it was still safe to travel here. Clearly there is no shortage of mind-boggling contradictions in the aforementioned statements, but for the sake of time and sanity let us focus on two. Firstly let us redirect the misplaced blame for the detriment to our country’s image from the bloggers and journalists who report the questionable conduct of our leadership to where it truly belongs: the leaders who are conducting themselves in a questionable manner. Neither the bloggers nor the journalists can be held responsible for the decisions made by the Bodden Town MLA which landed him in the predicament that was then reported throughout Cayman and to the world. Yet, let us suppose that the bloggers and the journalists had been "better citizens" and kept that bit of information to themselves. Our leadership needs no assistance from us "common folk" in making questionable choices: using the "n" word on the radio, publicly bullying a person and outing the individual as being on government assistance, and pulling what has become known as a "Cayman Kanye" in our pop culture are all examples etched in our minds, and cemented through the power of technology and live internet streaming, of unacceptable behaviour by public officials. No blame can be projected to the people on this one, and as the damaging statements came "straight from the horses’ mouths" the degree of detrimental effect multiplies exponentially. Secondly, let uspoint out that the mere fact that a significant number of persons who comment on blogs or make FOI requests do so only under the veil of anonymity is an indication of the fear of repercussion and lack of freedom of speech which makes up the suffocating culture of silence under which we live and are working on changing. Anonymity in both instances allows for comments and requests to be judged on their substance and merits rather than whom the author or requesting party is. Our aim, as a nation, should be to strive towards a culture that embraces “owning one’s statements” and signing one’s name at the dotted line. What cannot be ignored, however, is that in order to get there people cannot be afraid that the power of the public office which an individual holds will be used against them should they say something with which said public official disagrees. Which leads us back to the aforementioned point about the behaviour: attitude reflects leadership, plain and simple. Commenting anonymously on a blog about the state of the country is not merely a tool for venting frustrations or being daring. Nor does FOI simply allow journalists the opportunity to put their investigative skills to use by being able to actively look for stories instead of printing the endless number of press releases which pour in daily. Both are democracy in action — the right to have opinions, to access information, to have a say on the affair of the state and to question those elected to serve are at the root of governing by the will of the people. The key word here is serve: not rule, not impose, not dictate. Kill the freedom of the press and the death of democracy will soon follow. While we are on the topic allow this last clarification: making an argument to defend one’s claim to be "for" accountability and transparency because "sometimes I say too much and get myself in trouble” is erroneous. Accountability is not the making of statements that range from unacceptable, to unconscionable, to wildly inappropriate; it is taking responsibility for the repercussions after the fact. Carolina Ferreira is a host on the morning talk show "Talk Live" on CAYROCK 96-5. (CNS): The first job casualties of government expenditure cuts have occurred at the Cayman Turtle Farm. Although the exact details of which jobs have been cut and how many have not been revealed the farm confirmed on Friday that a number of people had been laid off. The farm began trying to reduce its subsidy requirement by increasing the cost of turtle meat earlier this year to reflect production costs and it says it has also streamlined various processes aimed at increasing efficiencies. Now it the farm says it has bee forced to reduce personnel costs, which represent a very large percentage of the company’s budget. 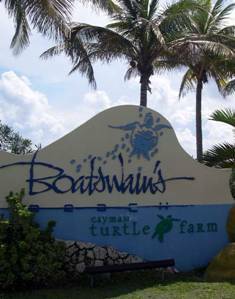 In order to reduce its annual operational losses and minimize the subsidy the Cayman Islands government must contribute each year, Boatswain’s Beach/Cayman Turtle Farm (BB/CTF) has been forced to restructure their operations and reduce costs farm officials said in a statement. Last year the farm received around $10 million in subsidies from the public purse. “Unfortunately, even after implementing several operational cost saving initiatives, it became apparent that we had no other option but to immediately reduce our personnel costs. The business simply could not sustain our existing payroll and we were forced to reduce our staffing levels accordingly,” Adam said, although no figures have been revealed a considerable number of people are believed to have been effected. Staff have been referred to the Department of Employment Relations (DER)where counsellors are available to offer the necessary support, the farm said. Employees who have been cut have been given notice and severance pay as prescribed by the labour law, including paid vacation and other benefits for the period.